How to use a comparator mirror. My interest in such matters has always been from the aspect as a picture maker, what can I do to make my ability to produce more work more efficiently, and accurately. For those purist's that believe every work of art needs to be done free hand, well, lay your brush down now, because if you are using your brush handle as a measuring device during a session of sight sizing, well, you are cheating. 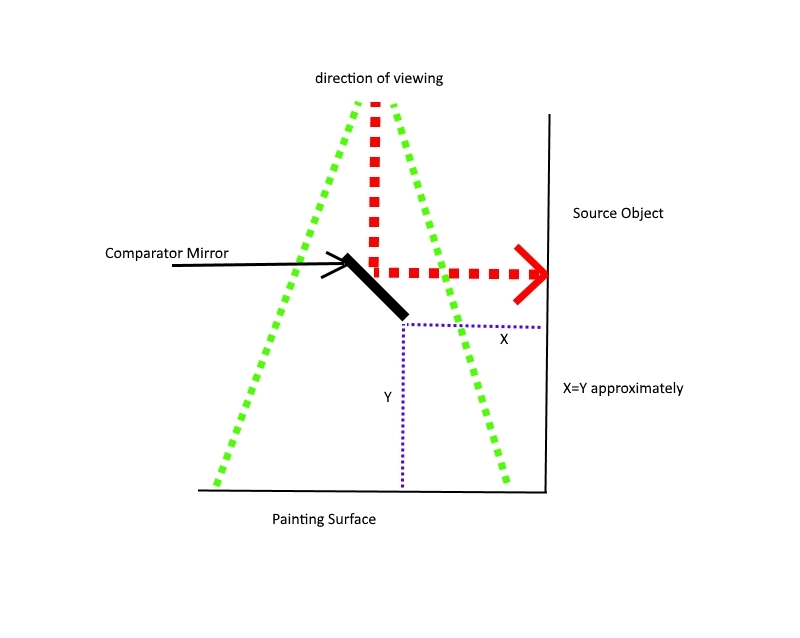 The comparator mirror is a tool. Like the brush handle. And if you view the reference videos, you'll see a quote by Tim Jennison that says he believes the comparator mirror is harder to use than free handing. But, he also states it is more accurate. This is paramount if you plan to do portraits. I can attest to this. As you can see in my video, the ability to match the subject being painted both in line and color matching is quite possible. Some folks would say this method is a cheat. 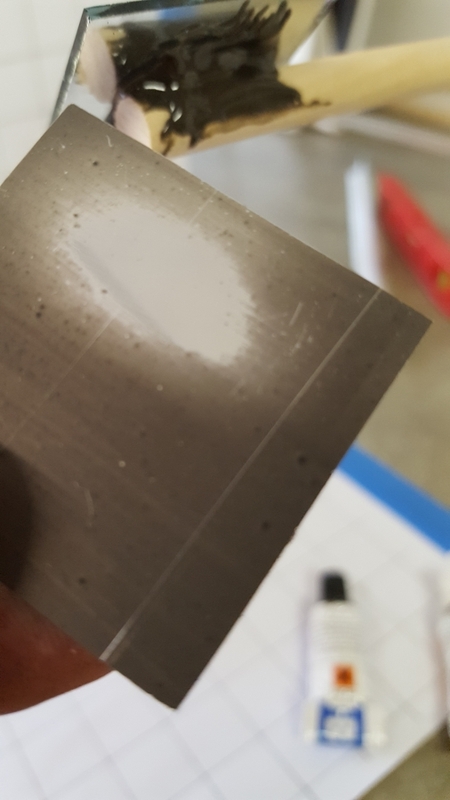 Well, again, as stated by Mike Derby, the mirror does not mix the paint, it does not create the brush stroke, and does not do the painting for you. It is just another artist tool. Like the brush handle in sight size drawing. How did I get my materials. Well, lets start with the mirror. You will need a "first surface mirror". 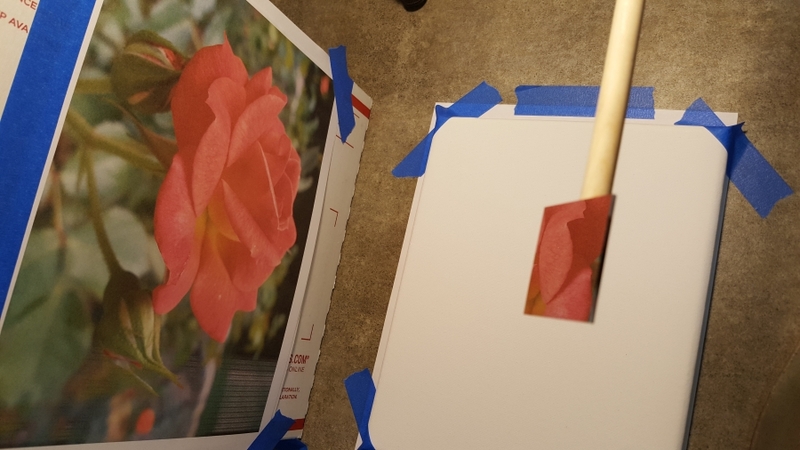 A small mirror purchased from a local arts/crafts store will work, but you have to do a little something to it to make it into a "first surface mirror". I purchased five for less than $2. Using fingernail polish remover and a cotton swab, I removed to painted coating on the back to reveal the highly polished mirror surface. Don't rub too hard or you can remove the mirrored surface as well. This back side of a normal mirror now becomes your "first surface mirror"
Why do this? Flip the mirror over, and view its edge. On the edge you can see the glass. This will create a blurred line around the edge of the mirror that you don't want. 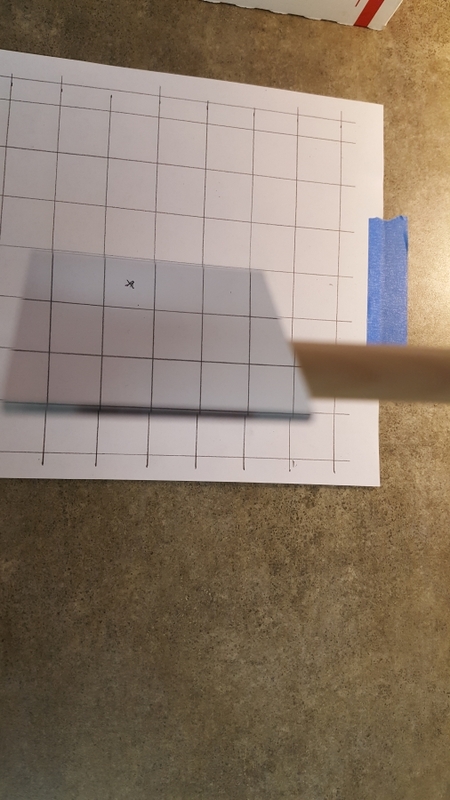 Flip the mirror over to view the "first surface" and you will see a very distinct clean edge. In watching the films, when you have the image matched correctly in color and value, this edge literally disappears. And that's the key to this device. There is an instant positive reinforcement of a match when using this mirror. In the film, I show how the mirror is held in place over the canvas and lined up with the image I wish to paint. I printed off two sheets of a graph paper about the size of my painting and set one up on the box or my viewing field. Your viewing field can contain a photo, or an actual still life. At this point, I am confident of being able to reproduce the image that is placed on the box with an excellent point of accuracy and no distortions that can't be compensated for. Once the image is taped to my box, I begin. Direct alle prima onto the canvas. Matching color and line placement went quickly for me, and the first pass was done in a matter of hours. Probably one of the best direct painted pictures I've ever done. 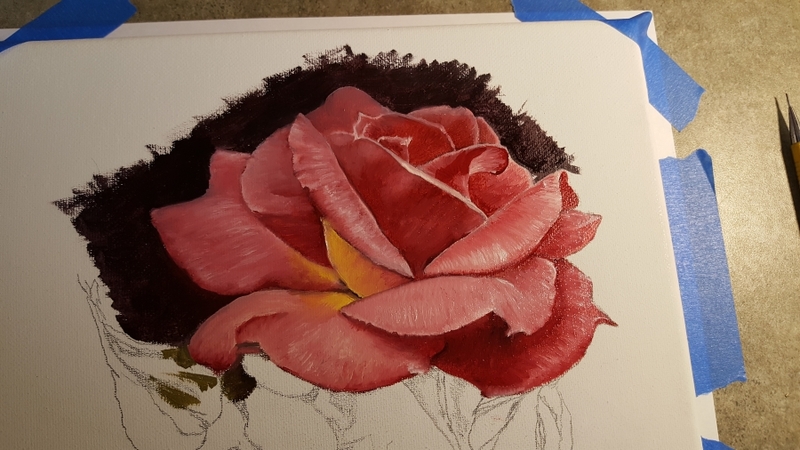 I was doing my happy dance when I stopped to take a sip of coffee and realised how nice this rose was coming out to be. 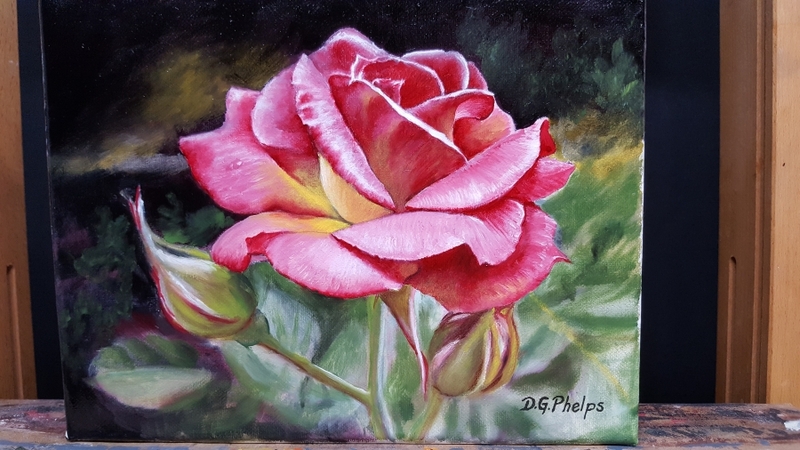 Once the first pass was dry, I completed the work with adding a bit more to the background, adding a few highlights here and there, and a signature. This wasn't a fluke. Below, you can see several student artist's creating some amazing works using this simple device. Comparator mirror being used in an art school, multiple students filmed while painting using the device. Note this when you view the film. 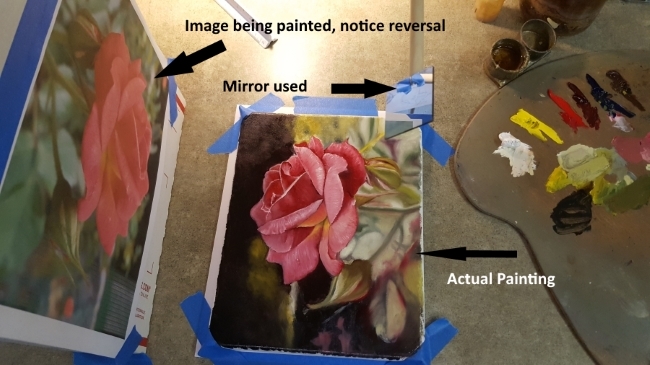 The mirror is equal distance between subject and artwork, and the image on the canvas is reversed to the image in the still life box. This is relevant when you see David Hockney's video's on "Secret Knowledge". In this Video, a fellow artist reviews Tim's idea's concerning the comparator mirror. It's a short but sweet film. 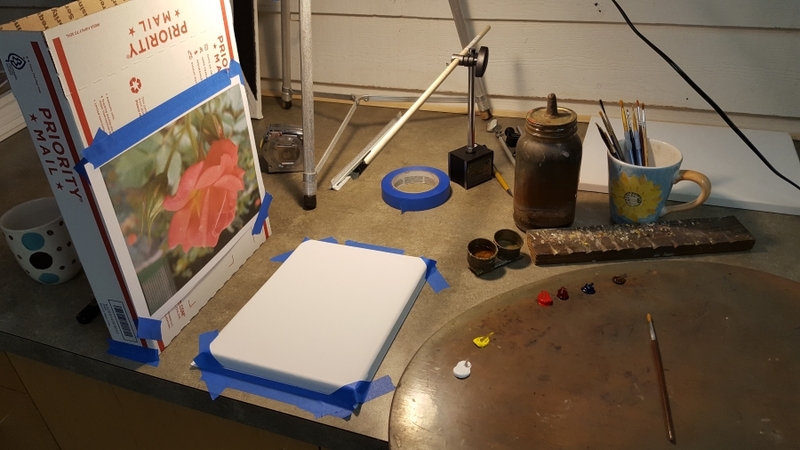 Using a comparator mirror and other simple optics to paint oil paintings. This guy gets in real deep with the subject. I think he is an engineer. Fascinating and educational. He shows you step by step how to set the device up. He even paints a little bit with it. The best evidence that early masters used optics (comparator mirror, lens, and concave shaving mirror). These two video's by David Hockney are probably the best films to date to talk about this theory. Seven minutes into the first film will show you something that (at least for me) convinced me beyond a shadow of a doubt the validity of the theory. Do take time to watch these. Here are some additional reference material for you to follow. The last is a You Tube video of an interview done some time back. Still really good stuff.